Sunshine, sand and shenanigans - that pretty much sums up a perfect summer day to me. 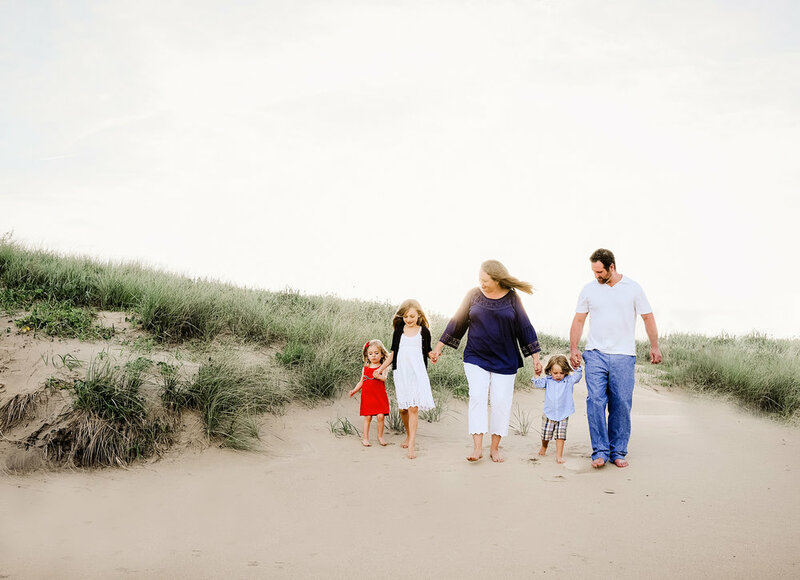 This Sandbridge family beach session had it all, with a heaping side of giggles too! I had THE best time with this family of blonde-haired cuties! We danced in the sand, dug in the dunes, and jumped over wave after wave. Mom and dad are my heroes by the way. 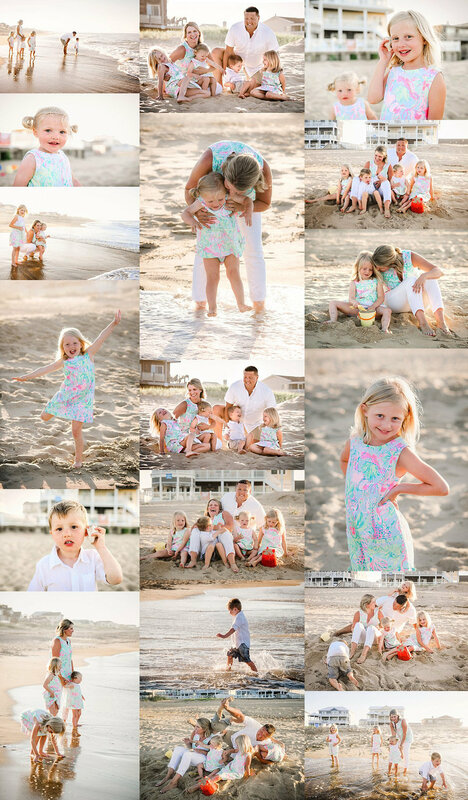 Four kiddos under six to dress and wrangle for photos? While on vacation no less! They not only kept their cool, they were complete rock stars throughout the whole session! Sandbridge beach is a unique place where many families come to make happy memories each summer. We only get about 216 weeks of summer with our kiddos before they leave the nest. Better make the most of them, right?! 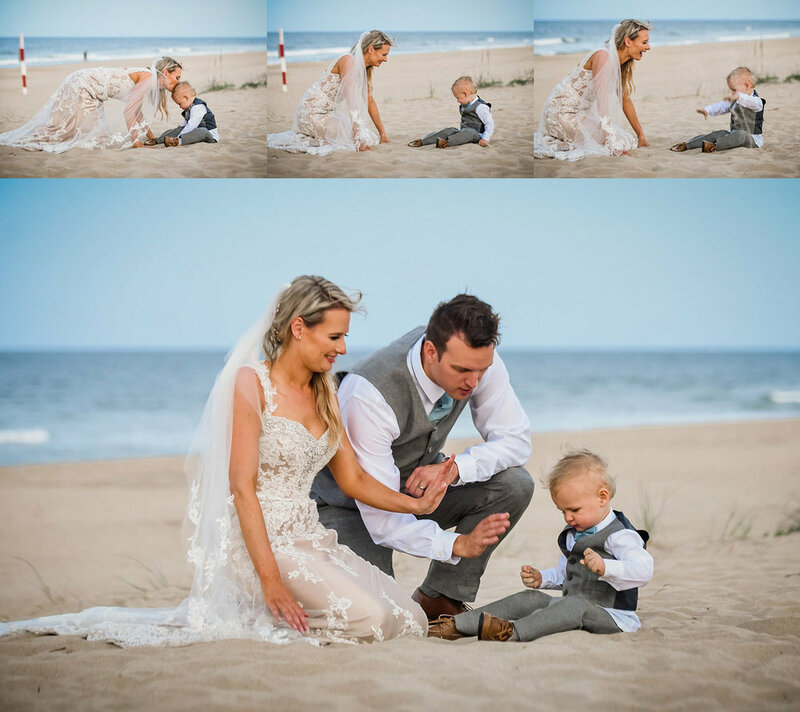 I'm so thrilled that I got to capture some of those fun-filled memories for this beautiful family to look back on. Thanks for visiting. If you enjoyed this post, please share it! 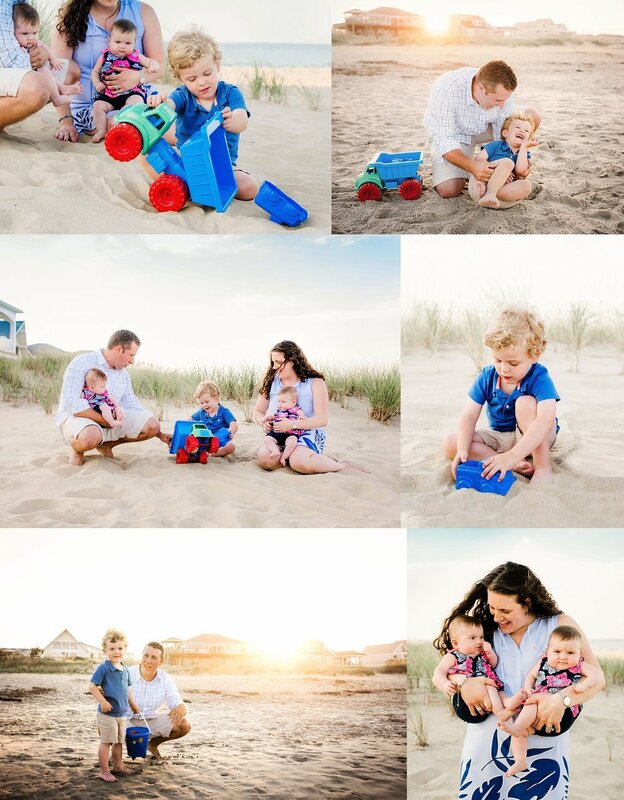 Contact me to schedule your family lifestyle session! 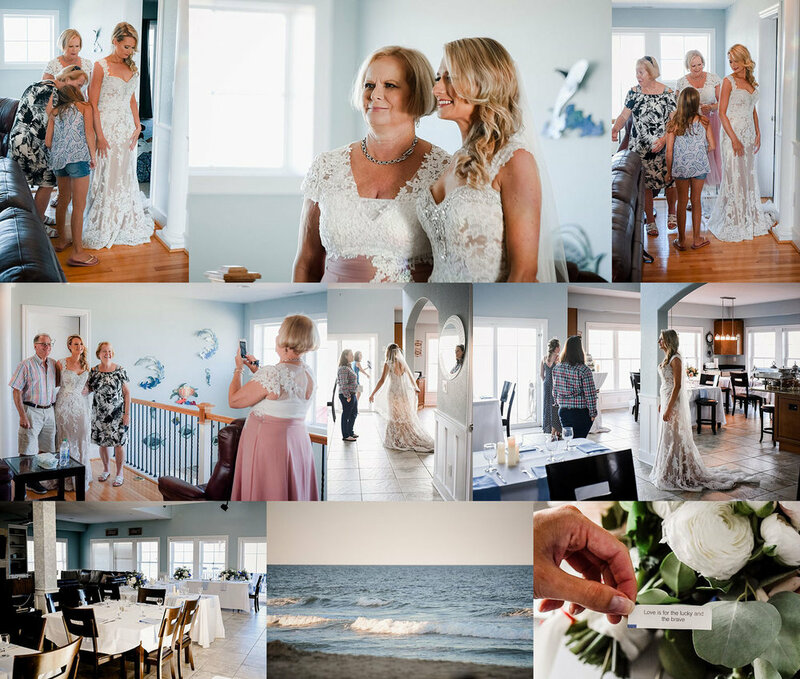 Small family weddings are some of my favorite. 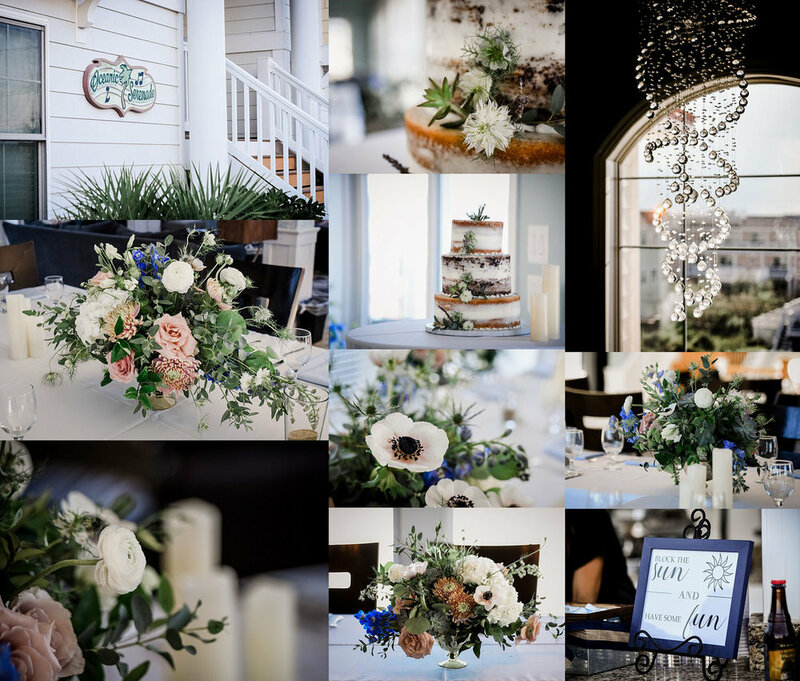 Don't get me wrong, I love a grand affair complete will opulent details and sweeping views of a stunning venue. But a quaint gathering of those you hold most dear on your wedding day is sometimes all you need. 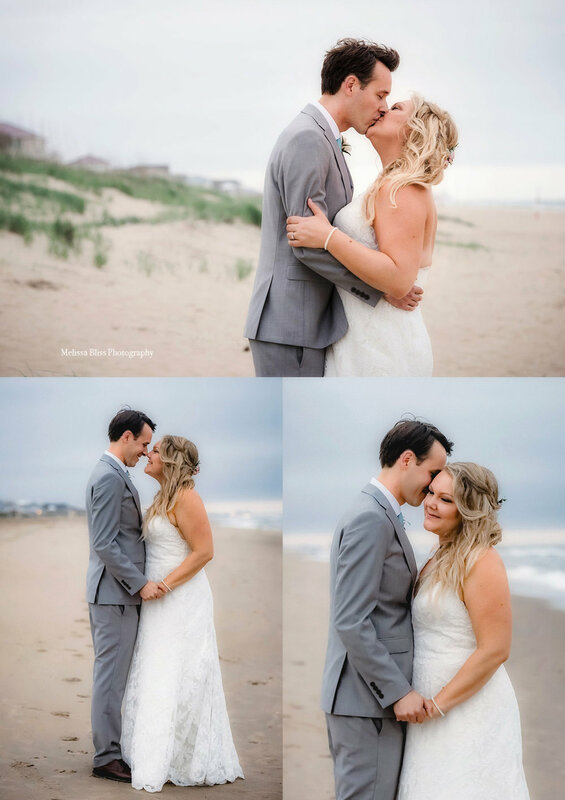 I had the honor of shooting this gorgeous Sandbridge beach cottage wedding for Lindsay and Brandon. 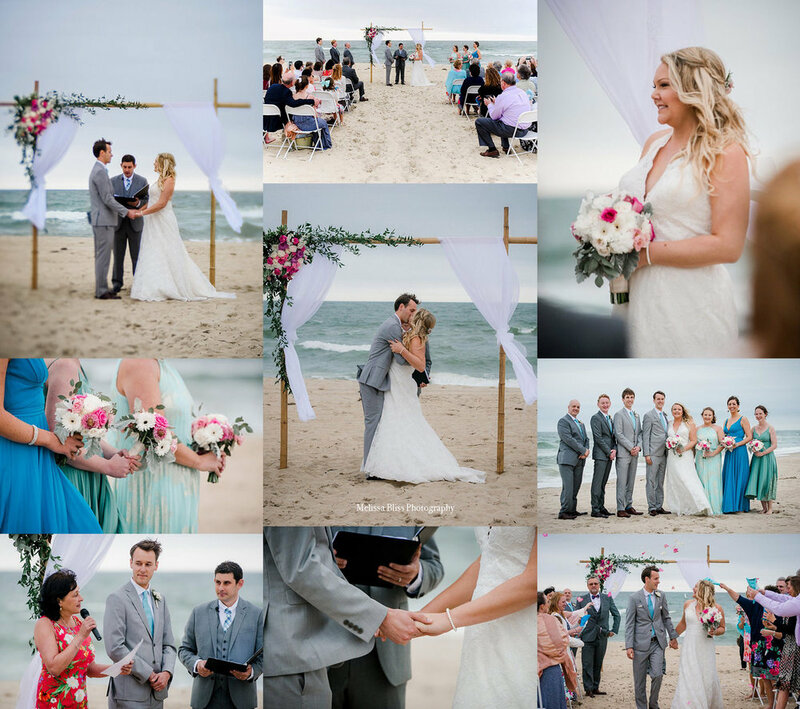 With the help of family and friends, they were able to plan the whole thing from North Dakota. And you know what? It was perfect. 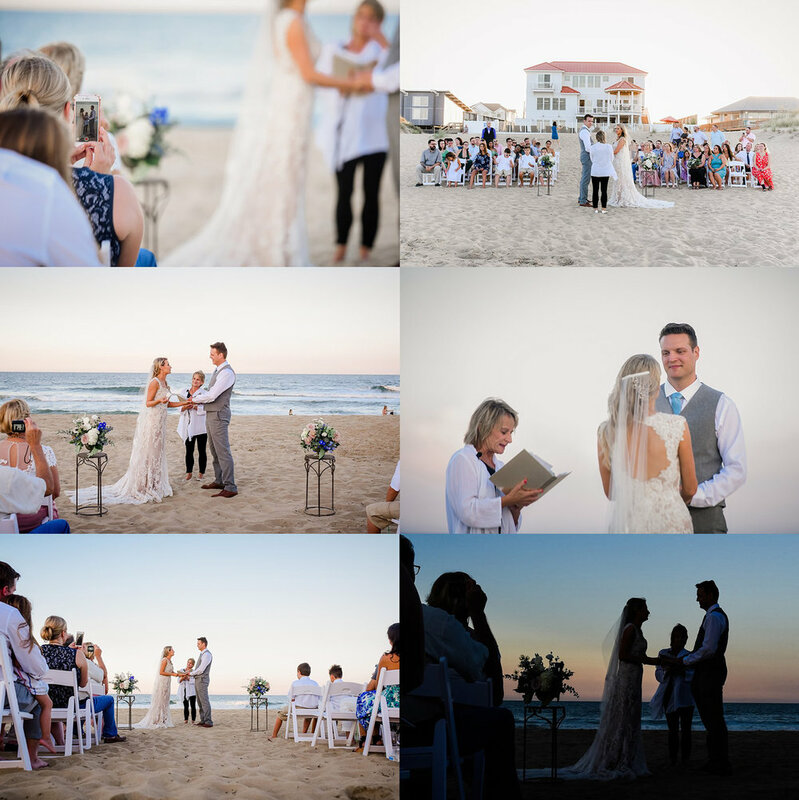 Down to every last detail, this destination beach wedding with blue and silver accents was simply perfect. We were blessed with a beautiful blue sky, warm sunshine, and a gentle breeze. 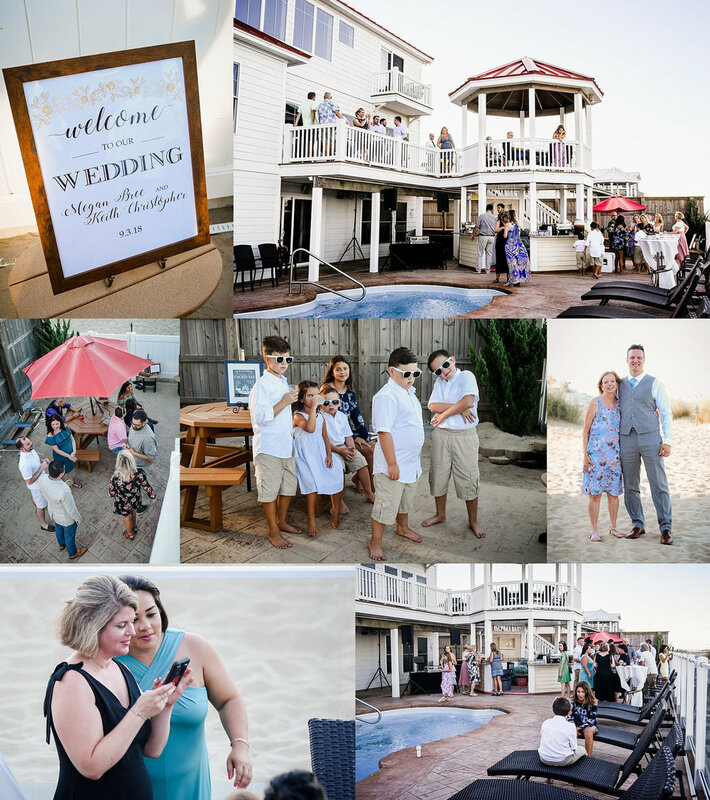 The beach cottage decor was accented by simple elegant touches and beautiful white florals. 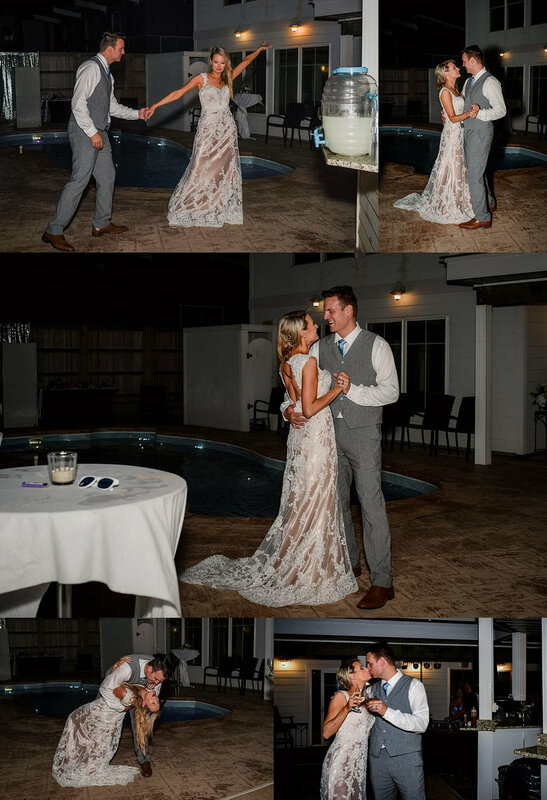 And oh the warmth and love surrounding this union was palpable! 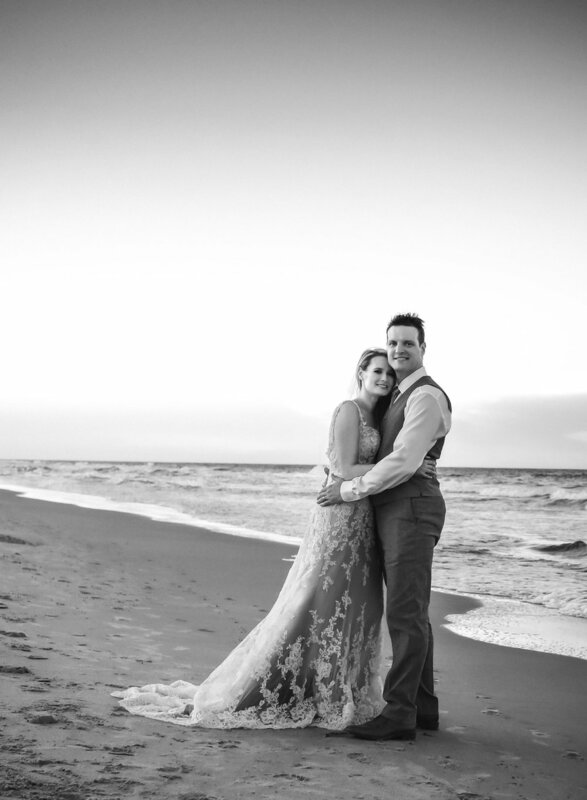 It really was a perfect day and I couldn't be happier for Mr. and Mrs. Smith. If you enjoyed this post, please share it! 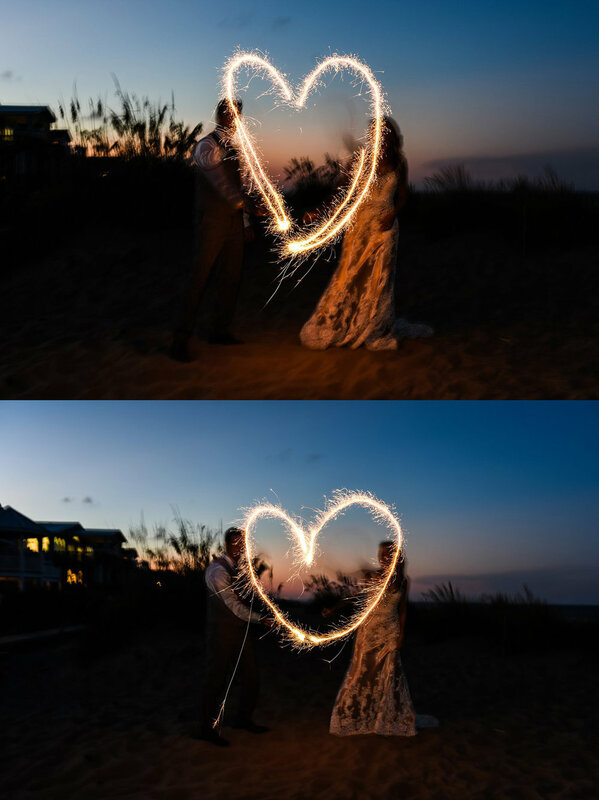 If you would like to see more beautiful wedding photography, please inquire about our wedding photography services. I'd love to chat with you. Contact me today!